Die Workshops sollen AnfängerInnen die Grundlagen der Jazz und Modern Contemporary Technik vermitteln und ihnen außerdem die Möglichkeit geben an ihrem Ausdruck und an ihrem tänzerischen Vokabular zu arbeiten. My contemporary jazz class will focus on the musical/lyrical aspects of jazz, which pulls from the inspirations from studying with Mary Brienza, Troy Powell, Sharon Wong, Fred Benjamin, Christian von Howard, and the late Luigi. We will focus on the angles, lines, and use of the pelvis, and hips from center, across the floor, and in the combinations. Also, we will work on supporting ones center(core) when moving by using the breath to allow the liberty of movement through ones body to complete your lines when moving from slow to fast by being grounded so you the dancer, can make the smallest movement/gesture take on the biggest meaning. And, most importantly, how to find or define your character choices in the choreography through coaching you the dancers. 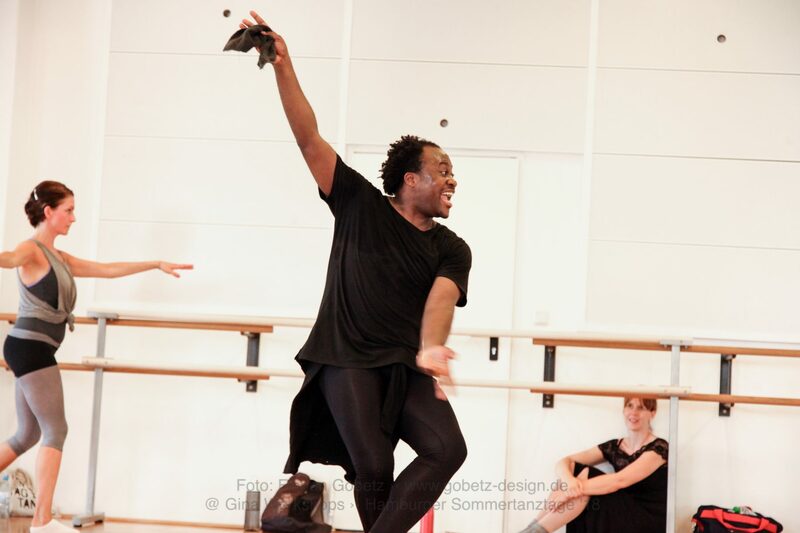 Quincy Junor’s Modern Contemporary Dance class is focused more on the choreographic side. Mr. Junor believes in coaching his students through his style which ranges from moving slow to fast through the given movement which will allow them to focus on developing their own artistic approach no matter if you are a beginner or a professional. Each class starts off slow through the warm-up that is designed to focus on the choreography that will be worked on in class and is then built to take us across, in and out of the floor. He pull his influences from his studies of the Martha Graham, Lestor Horton, and Jose Limon techniques as well as dancing and working with choreographers Nathan Trice, Kevin Wynn, and Jonathan Riedel to name a few. Early Bird für Anmeldungen bis zum 10.3. Anmeldungen unter: event@motionsberlin.de, am Tresen oder durch das Anmeldeformular.